Promise fulfilled: enjoy the free drawing! 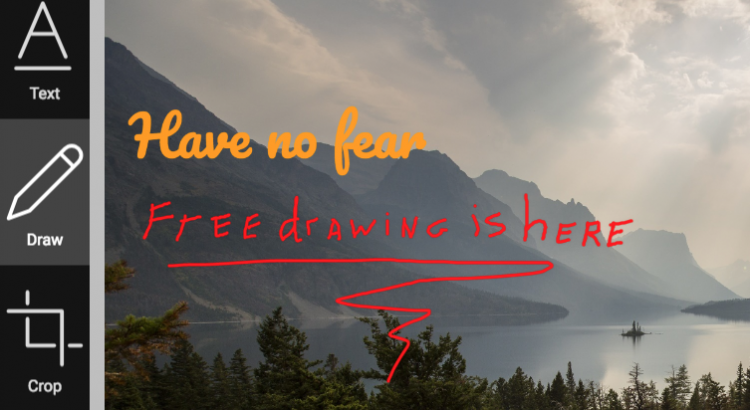 As we promised last week, today we deliver the free drawing feature! Shipping 3 types of brushes, more about to come soon. Choose color, transparency, shadow, and make instant drawings on top of the image. Stay tuned and get informed about the upcoming features! Subscribe to our RSS feed!